Sonbahar hiç bu kadar güzel gelmemişti! Sonbaharda Kaan Tangöze albümü geliyor müjdesi gerçek oldu. Gölge Etme, en şahane on iki şarkıyla dönmeye başladı bile. I am one of those lucky clovers who had the privilege of seeing one of these spectacular concerts of Mozart Marathon with Fazıl Say. Since these musical notes intend to draw an outline of my deep impression personally, they may owe apologies to the classical music authors for any structural misinterpretation in advance. Genius Turkish pianist and composer, Fazıl Say, performed a series of concerts including the entire piano sonatas of Mozart between the 9th and 13th of June 2015 in four different venues in Istanbul at 43rd Istanbul Music Festival. I loved the definition of these concert series as a marathon literally. I would, hereby, vocalize my picturesque hearings regarding the final leg at Lütfi Kırdar Convention and Exhibition Centre that I was able to attend. Mozart is the golden touch of the heart; the perfect golden ratio of the music and brain. As mostly accepted, his eighteen piano sonatas are the eighteen representative masterpieces that also led the way to his successors of the romantic era. The prodigy started to compose them by early 1775s (K 279-284) when he was around 18, and advanced till two years prior to his death. Techically, almost all are composed in three movements and sonata form. They all reflect the affectionate and inspirational character of Mozart. Mozart‘s perceiving the world deeply in a purity through the eyes of a child can simply be heard in these sonatas. Perhaps, this makes him exceptional where simplicity is the utmost unreachable jewel in music and art. Eric Blom, the Swedish-British music critic in the first half of 1900s, defined Mozart‘s taste as the right thing at the right time at the right length. For me, this is exactly the very same for Say‘s virtuosity and his own scores. Perfectly placed harmony of the structure and form is certainly attributable to their math oriented intelligent minds. Side by side to an arithmetically developed brain, keeping a child’s straight eyes in viewing the world is probably the enigma of aligning all these melodic fragments in such an ingenuity. Both Say and Mozart started to play the piano at the age of 4. Both composed their first work at very young ages. What one may presume is that Mozart‘s supremely calculated and indisputably touchstone music finds its way for centuries via the hands of extraordinary, revolutionary musicians as Say. 13th of June at Lütfi Kırdar was introduced with Fantasia in C minor K 475 which was followed by Sonata No 14 in C minor K 457. This is an ideal order given K 475’s breath like sort of a prelude to K 457. We learn from Aydın Büke prior to the concert that Say refers this fantasy an opera orchestra as if it is to be performed by a different group of instruments together. From my point, Say started the evening with these seemingly freely constructed but tightly demanding fantasy and echoed it in all broader orchestral forms to be heard. K 457, composed in 1784 autumn, was not the only one to make the deepest influence on Mozart‘s successors, e.g. Beethoven‘s Pathétique sonata, it also might have paved the way to Schubert‘s Erlkönig according to Say. Since these two C minor pieces are the only piano sonatas that Mozart wrote in the minor key, they make us think that these are very personal works of him. Hence, once again a very good preference for the opening and let the audience internalize the atmosphere. After then, the evening continued with Sonata No 9 D Major K 311 which was probably written together with K 309 and K 310 in 1777. I was curiously wondering this well-known jokingly cadence at the end that would definitely lead us to believe that this is the end of the section, but playfully continued with two additional measures likely a motif for the development part. My curiosity ended with the well-balanced playing of Say so that I could engage in the piece at once. Rondeau section, like a piano concerto itself, has earmarks of Haydn‘s string quartet that provided the melody with the national anthems of Germany and Austria for Say. You may also wish to listen to K 311 once again including all these remarks. After the interval, we had the pleasure of listening to Sonata No 11 in A Major K331 ”Alla Turca”. It is perhaps the most outstanding one with a prominent melody to imitate all the trumpets, Turkish drums and other instruments in one instrument. Say‘s playing the first movement inspired by a German folk song was impeccable. That was beyond playing a music, more a heavenly chat with the piano. Menuetto and Alla Turca parts were so cheerfully played that we, as the listeners, started to become impatient for the final one, Alla Turca Jazz Op 5b, by Fazıl Say which was applaused all aloud at the end. Sonata No 13 in B-flat Major K 333 is known as a long and difficult-to-play work of Mozart. Say turned it into a musical feast with his soft but sensitive and vivid touches. We also learn from Aydın Büke that Say mentions that one as the Magic Flute due to its first movement, Andante grazioso. There are some unreachable instants that happen only once in a lifetime. I can heartily say that we witnessed one of them. In other words, Mozart was born again that night. It is my pleasure to inform all the readers that Say has recorded Mozart‘s complete series of piano sonatas that will be released this fall (2015). Finally, I would like to add Blom one thing, the right thing at the right time at the right length via the right hands! 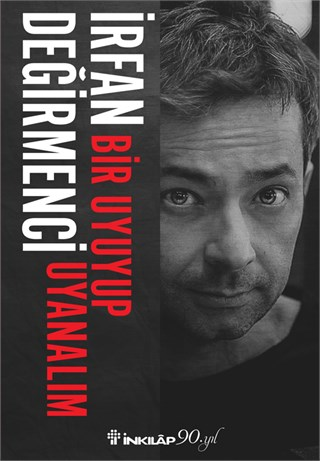 Bazen gidemezsin… Kaçamazsın kendinden… Bir buğulu ses, bir büyülü söz, ‘alev almış bir ateş’ yakalar seni. Bırak deli yazar yazısıyla, kral müzisyen müziğiyle konuşsun… Sen de oku & dinle & yalnız bırakma! Kısaca sitebocugu sayfalarında zaman zaman karşılaşacağınız müzik notları zatımın külliyen o gün aklına esip de dinlediği notalardan ibaret olacaktır. Beğeni subjektif, pabuç dil projektiftir. Netçe olarak bu sayfayı okuyan sen, ben, bizim oğlandır… Rastgele! İşte bir koşu 450 km’nin geride bırakıldığı bir Cumartesi öğleden sonrasında siteböcüğü Süleyman‘a ünüledi: ‘Aralık 1970 – Pendulum!’ Ve Süleyman siteböcüğü’ne en nazik ve ikna edici tavrı ile dedi ki: ‘Pendulum senin içinde bulunduğun teknik imkanlar, daha doğrusu imkansızlıklar çerçevesinde biraz zorlayıcı gibi; ama bak sana alternatif öneriler. 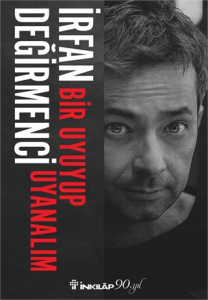 Umudunu kaybetmeden bir bak bakalım…’ Böcük, bu yol doğru yol değilden çok bu yol senin yolun olmayabilir mesajını net olarak aldı ve Chronicle‘ı seçti. Sıradaki paragraf, ‘dinlediğin, çizdiğin senin olsun, içindekileri dökül’ diyenlere gelsin. 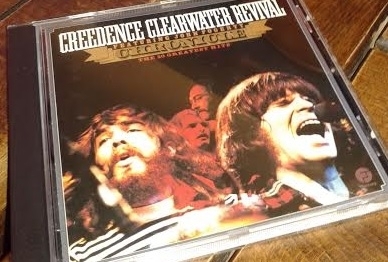 CCR’nin liste başı single‘larından derlenen Chronicle‘da grubun debut stüdyo çalışması Creedence Clearwater Revival (1968) ile başlayıp dağılmadan hemen önce çıkardığı Mardi Gras (1972)’a kadar olan albümlerinde yer almış ve ortalığı sallayıp başını döndürmüş bayrak şarkılar ve cover‘lar var. Susie Q, I Put a Spell on You, I Heard It Through the Grapevine dışındaki tüm şarkılar grubun beyni John Fogerty‘e ait. Beatles ve Stones‘dan sonra hit üstüne hit deviren grup olarak da bilinen CCR’nin efsanevi ismi Fogerty‘nin (vokal, gitar) yer yer politik içerikli şarkı sözleri ile de sıkı fıkı olabildiğini Fortunate Son‘da görmek mümkün. Güneylilerin, ağızlarında bir torba akide varmış gibi tıkır tıkır şekerli aksanı Fogerty‘nin kumlu, tenora çalan ses rengi ile bir kulak ziyafeti oluşturuyor. Chronicle‘da yer alan ve ilk hali Nisan 1970 tarihli bir Cosmo’s Factory zaferi olan I Heard It Through the Grapevine‘da 11’06” lik süresi ile rehavetten hafif yayılmış bir Louisiana havası hissedilmekte. 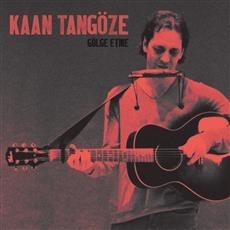 Kaydın, bu toplama albümden yine aynı tarihte (1976) çıkan single olduğunu da ekleyelim. Şarkıyı diğerlerinden ayıran bu süre-kaygısızlık ve ‘insanlar duyduklarından değil, gördüklerinden öğrenirler’ sözleri size ne çağrıştırır bilemem ama beni evime, karış karış dolaştığım sokaklara, kısaca en son içinde köpekbalıkları yüzerken yaşlı gözlerle izlediğim Mississippi ve civarına götürdü. “I think what Keane has done is just terrific. If it were bad, so many people wouldn’t like it”, says Andy Warhol while the screen slowly turns out to Big Eyes of Tim Burton. Big Eyes begins in 1958 in North California where the artist Margaret Ulrich (Amy Adams) leaves her town and her first marriage behind, to set a new life in San Francisco with her little daughter and paintings on the back seat. While she is trying to adapt a new life with a new job in a furniture company, she meets Walter Keane (Christoph Waltz) who introduces himself as an artist that has to deal with real estate business to support himself better as an artist. Margaret, influenced by Walter and his romantic gestures, accepts his proposal, and the couple gets married. Margaret Keane keeps on drawing her expressionistic paintings that are typically known for her saucer-eyed creations and as she calls them ‘eyes are windows to the soul’. The honey months of this supportive and happy marriage will evolve into something harsh after Walter initiates a business on the art of Margaret’s by acknowledging that this artwork belongs to his own. Based on a true story, it shows, mainly, the cruel face of human soul that can spread like an opportunistic infection when it finds a liable environment in all means. The story by Scott Alexander and Larry Karaszewski (Ed Wood, Man on the Moon) progresses in an appreciable balance where Walter‘s commercial talent becomes insidiously an evil for the family. The dramatic climax in this true story is where Margaret accepts Walter‘s lies as truth at first hand, and allows him to pursue his lies. The writers have done a successful job; first, by having an in-depth investigation over the event and characters, second by aligning them in a perfect order easily to follow, third by enriching the plot with supporting scenes such as the Good vs Bad Art discussions and the role of the critic in arts, and fifth by achieving to take us sides with Margaret. Perhaps, there are only two questions that could be raised regarding the script: One of them is whether it could have been a rather soft transition regarding that psychopathic match striking scene to be more in line with Walter‘s personality that has been expressed till that moment. The other one is whether Margaret‘s decision to divorce Walter could have been based on a more convincing or solid ground rather than a spiritualistic awakening. Amy Adams as Margaret does a great acting to display this sensitive and vulnerable beautiful soul. She acts so realistically naive and over-patient that the audience is fully engaged to the painter with deep sympathies by the end of the movie. Christoph Waltz as Walter draws a cartoonish character that sometimes takes us to Hans Landa in Inglorious Bastards. It is noted that Margaret Ulrich, the real self, can also be seen in the movie on a park bench reading a book when Margaret and Walter are in front of the San Francisco palace of Fine Arts. As another available filming note, some of the outdoors have been shot in Vancouver, Canada, where the steepy streets resemble San Francisco very much. Tim Burton‘s static camera and symmetric shoots in the introduction gives us the hints of a dramatically balanced and perspectively designed 106 minutes movie. Together with Bruno Delbonnel‘s (Amélie, Inside Llewyn Davis) cinematography, Burton uses a non-invasive technique with no brain- and eye-killing approach but a highly internally penetrating artistically portray. Yet, the photography is literally customized for Big Eyes‘ 1950s and 1960s atmosphere. Burton, who has collected himself Margaret Keane’s artwork for years, and Big Eyes invites Burton fans and cinema lovers to see the transforming story of an initially charming husband into a domineering monster over a naive and talented wife, just maybe an everyday life of a woman on the edges of losing her voice in a male dominant environment.